20' Tankcontainer with the labeling of the »SEACO« company. 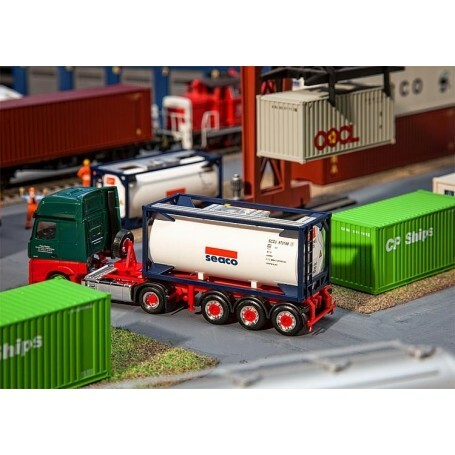 Standard steel containers available separately, with different loading capacity, paints and inscriptions, allowing the quick and easy transshipment and transport of goods by rail, on lorries or on ship. When stored piled up on each other these sturdy large containers impressively put stations and terminals into the limelight as points of intersection in the international goods traffic.